Part of the Ventana Collection, the finest storage solutions for the outdoor kitchen. 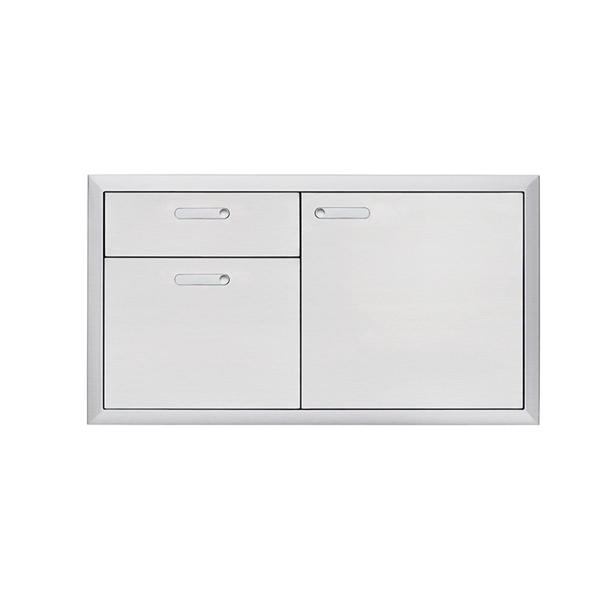 42" Access door and double drawer combination. Each drawer is 25.5" deep. Illuminated drawers and door space. Soft close drawer slides. Soft close hinge on the door. Sealed along framing to help aid in dust and water prevention. Flush mounted reversible handle. Easy to clean. No crevice for insect nest. Sleek contemporary look. Door Accessory kits available.